Benjamin Robert Miller, passed away peacefully in his home on October 25, 2017 in Queen Creek, Arizona at 78. 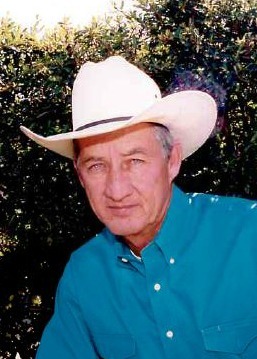 Ben was a dynamic man with incredible life experiences such as his career in western motion pictures as a stunt man and many years of roping and riding horses. Ben’s final resting place will be Oklahoma where he was born. He is survived by his children, his brother, sister and countless friends. Services are Saturday, November 11th at 11 am at Bunker’s Garden Chapel, 33 North Centennial Way in Mesa. Thoughts and prayers with Ben and his family. Ben was a good friend and a good person with a kind heart. My sincere condolences in this hard time. Thoughts and prayers to Mona and family. Words cannot express how sorry we were to hear this news. He was a wonderful man with exiting and funny stories. He will be missed and thought of often. Ben was a long time friend that will be missed. He was a terrific story teller. Ben and I were friends for almost 40 yrs, we wrote stories , screenplays together called each other often. He was a friend that was always there to talk to for me, as he was for all his friends I,m sure. Love him like a brother will never forget him .